Now the picture has become reference in 3ds max! Now what we need to do is we need a piece of paper for trace the picture. 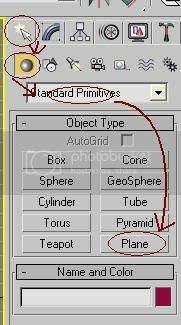 The paper in 3ds max is a button “plane”. Click the button now! 2. Click “move” Button and change x=0 so the “Paper” (Plane) will align to center. The single line through the rectangle area will disappear after you had done it. 4. 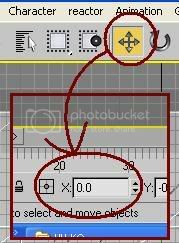 Click the “Editable Poly”, then click the “Polygon” (highlight in yellow) and click right side of “Paper” (highlight in red). 5. Delete it and the paper become half!